Isabella Court offers 46 one bedroom and 3 two bedroom apartments. The Isabella offers vibrant living in the Fourth Plain Corridor, with nearby restaurants, shopping, movie theater, parks just a walk away. Isabella Court is built to the Evergreen Sustainable Development Standard (ESDS) with its focus on energy efficiency and promotion of sustainable living. 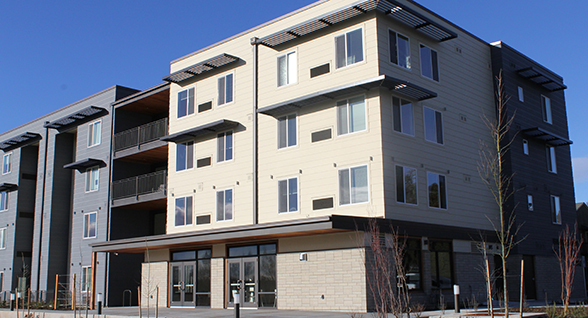 Isabella Court offers affordable, senior living in Vancouver, WA. Apartments are reserved for households 62 years of age and over earning 60% or less of the area median income. This is a Tax Credit building. Learn more about Tax Credits units.